Writing a press release may sound daunting and overwhelming but it is actually a simple task as long as the correct steps are taken. A well-written press release submitted to the right and relevant outlet can greatly benefit your website or business by bringing the eyes of readers and potential customers who would not have turned their attention to your business otherwise. Grab their attention and win them over! A press release is a document submitted to a news outlet, usually a newsworthy announcement to help bring to the attention of the readers en masse. 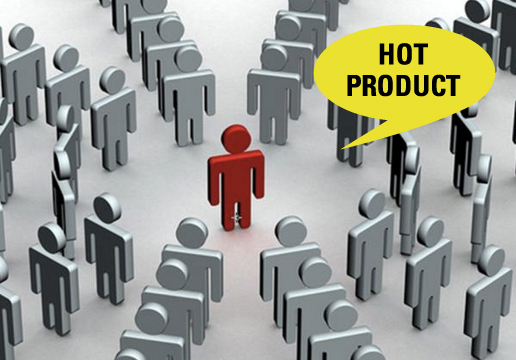 For example, if your business or website is looking to promote and announce a new product, a press release to go along with your other marketing efforts can boost interest and sales shortly after its release. A press release can vary in terms of format, but for the most part, the important elements include the website or company logo, a compelling headline, the date and location of where the news is being released, a body paragraph, and contact information. 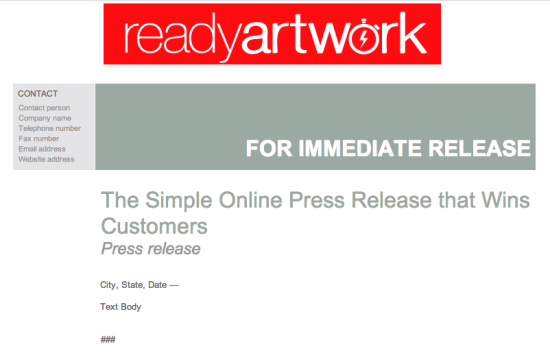 Often times you will see “For Immediate Release” on a press release indicating that the news is ready for immediate release. Seeing “###” after the final paragraph indicates the end of the press release. Be sure to include both in your press release. You should strive for brevity when writing a press release. Get straight to the point by being clear and concise with your words. Ideally, it should be no longer than 1 page and should sound natural and informative. The goal is to announce the product, not make it sound like a commercial. Think of yourself as an unbiased journalist, reporting the release of your new product or an upcoming event. A compelling headline is a must. Generally, 8 out of 10 people will read the headline and only 2 out of 10 people will read the rest. Make a headline that is enticing to your potential customers! Think from a reader’s perspective: what would grab your attention? Quotes are a great way to add information and credibility to your press release. For example, a company executive can explain the company’s vision and goal to give readers a strong understanding of the brand. Use quotes to make the readers feel connected with the company. Include visuals. Press releases with visuals are 9.7 times as likely to be viewed. Catch the reader’s eye and give them an image to help get them excited to buy your product. Who is your target audience? What demographic needs to hear about this news? How much are you willing to spend? While there are free press release submission sites, opting for a paid site will increase the reach of your press release as there are many sites which will broadcast your news to a much larger audience for a specified fee. Is the news ready to be released? It may sound like a no-brainer but ensure that the product is stocked and ready to go. Also be mindful the date and time you intend to release your news. It’s definitely worth taking a look at the worst times and days for press releases. Review and follow these simple steps and you’ll be on your way to submitting and releasing an effective + informative press release for your business!